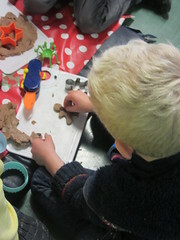 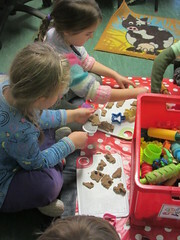 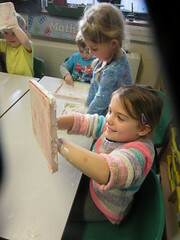 On Thursday we started to explore textures using our sense of touch. 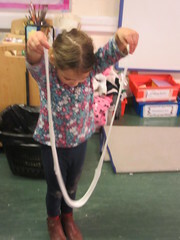 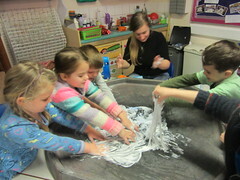 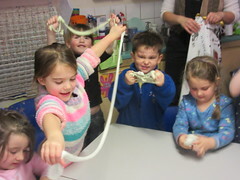 We made slime, were fascinated by the physics of cornflour and water, used wet sand to build and loved the shaving foam. 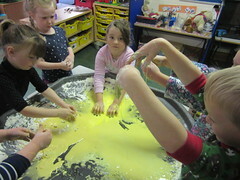 We had great fun though tidying up took a while!